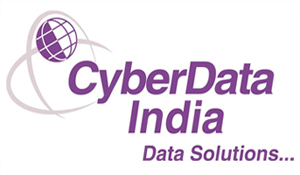 CyberData India is a full service information management company, established in 1996, offering a unique solution to each of our customer's needs, allowing us to enjoy lasting relationships with both government and private companies. We consult with each of our customer's prior to project inception in order to provide them with a cost effective strategy. We provide unique solutions to suit every customer's needs. Partnering with our expertise in information management will allow you to concentrate on your core business, eliminate processing overhead and provide your company with results from a proven document processing company. eDatashop has been setup to provide online dependable, high quality effective data entry and data conversion services by CyberData India. It forms a part of a Group which is into education, education support services, software design and development. CyberData's aim is to offer a one stop solution to all your information processing needs. The company specializes in state-of-art systems and technology to provide a professional outsourcing services in forms processing and information management. CyberData is equipped with several work stations 24 hour power backup and high speed communication links to reach overseas customers. CyberData also has software to handle high volume computer-scanned and paper-based data entry. We provide turnkey solutions that allow timely reporting, accountability, security and scheduling of projects. Operators well versed in English. High speed dedicated leased line. Government Agencies, Municipalities, Police Departments, Hospitals, Insurance Companies, Banking, Utilities, Legal, Transportation, Manufacturing, Publishing, Physician offices. Using samples of the original document to be processed, including other client information and output record format, CyberData develops the perfect integration of your form and our programming to handle the data input, output, quality management and project management. Note the design and implementation of a new form / document format for greater statistical compilation, is always available. Our experienced staff specializes in data entry with the option to key verify. This involves a second entry process to detect and correct any discrepancies from the original source. We routinely enter surveys, contacts lists and achievement/psychological responses and scores.